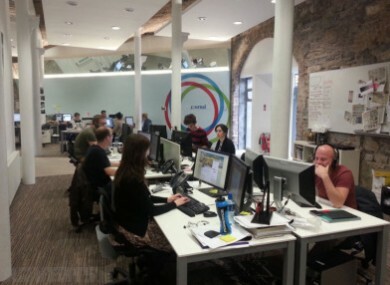 DAILYEDGE.IE IS growing! We’re looking for freelance journalists – and an intern – to join our team. Under the nurturing and protective wing of our friends at TheJournal.ie – Ireland’s fastest-growing news website – we’ll be expanding our coverage of Irish and internet pop culture. As part of the team, you’ll be part of the unique voice of DailyEdge.ie, giving an offbeat take on the subjects we cover. The role will include researching and originating stories, capturing visual content and creating the end product for our website, to be read by tens of thousands of people every day. Email “WE'RE HIRING! Attention, pop culture fans”. Feedback on “WE'RE HIRING! Attention, pop culture fans”.